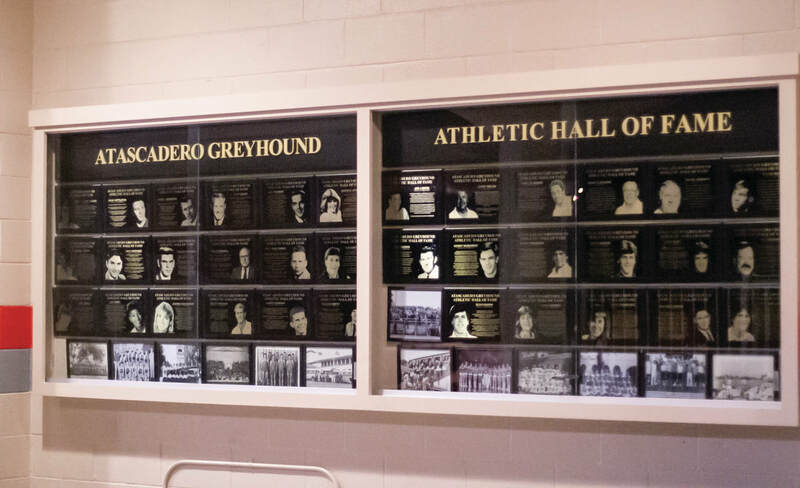 The Atascadero Greyhound Athletic Hall of Fame plaques are back on display — at their new home on the foyer walls of the Atascadero High School Ewing Gymnasium. Our proud athletic heritage is available to the public, and includes the fantastic 2014 class. Three display cases were designed and installed for free by Steve Sligh of Sligh Cabinets. We could not be more proud or more grateful to have Steve's help. 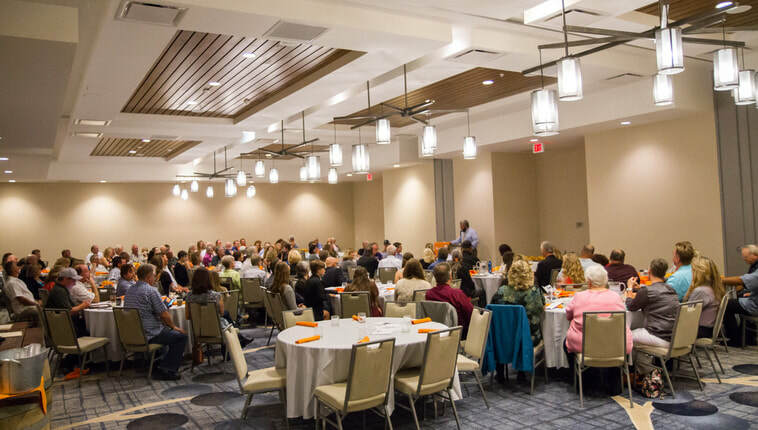 Please help us continue our work in recognizing the individuals who have contributed to the Greyhounds' athletic programs over the years by nominating a worthy student-athlete, teacher, coach, or community supporter. Submit a Hall of Fame nomination! The Atascadero Greyhound Foundation recognizes and honors men and women of our community who have made exceptional contributions to Atascadero High School athletics. We saved a table just for you!